If you would like to become healthier and make the most out of your life, you have to start paying attention to the environment you are working in. No matter if you work in a home office or at a physical office space, it’s crucial that you protect yourself from harm. Below you will find a few areas to focus on when completing your workplace assessment. We all face stress every now and then. If change is not managed well at the workplace, this can cause professional burnout and affect your mental health. You will develop mental health conditions and anxiety that will affect your productivity. Sometimes we need to take time off work to reduce stress and reflect on our situation. Try meditation and mindfulness exercises to look after your mental health better. If you sit in front of the computer most of the time, it is important that you prevent lower back strain and pain. You will need to ask for workplace adjustments if you are working for a company, or take responsibility for your own health if you are managing your own business from home. You can get foot rests and back cushions that will reduce the pressure on your lower back and feet. Staring at the screen all day might put a lot of strain on your vision. You might not notice the changes until one of your friends points out that you squint when reading from the screen, you will also have to make the most out of the natural light and avoid reflection that can stress out your nerves and cause you migraine coming from eye strain. If you work in a noisy environment, or wear headphones when calling clients or answering the phone, you should get regular hearing assessments. If your employer is not providing this, you can still go out on your own; your health insurance is likely to cover the preventive test. Not to mention that the sooner you find out about the problem the better your chances of solving it will be. You can learn more about different interventions and hearing aids. The air quality in the office can also impact your respiratory health. Do you work with hazardous or toxic materials, irritants or cleaning agents? It’s important that you get an air filtration system or an air purifier installed. Opening doors and windows regularly will help; but you have to monitor your health, especially if you have asthma or respiratory illnesses and allergies. Make sure that your air vents and ducts are regularly cleaned, too. 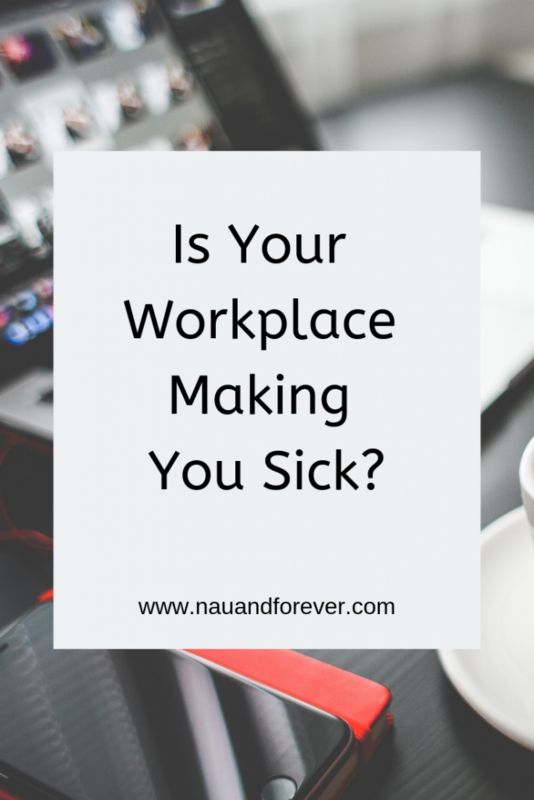 Is work making you sick? There are plenty of health risks that are invisible in your office space. You can make the most of your productivity and protect yourself. Focus on the environment you spend long hours every weekday. Make improvements and you can avoid long term harm and conditions that are hard to reverse.